Loneliness; Reach Out and Touch Someone. Today a phone call with my very dear friend who is a generation older than me and lonely, presently unfulfilled- living, as she put it- in a colorless world. I began about loneliness, and want to share some ideas and … well, you’ll see. Every morning I get a newsletter in my e-mail box and one article struck a nerve; How your Age Determines What Makes you Happy. I read all 118 comments and many from folks about my age or older who talked about contentment, their companions, pets, gardens, nature. The small things to be grateful for every day makes them happy. I agree. Then came this; The article states; “when we’re young and our lives seem to stretch out before us, we tend to thrive on new, exciting experiences. But as our time on the planet grows short, we often find greater contentment in experiences that foster calmness and peace.” I appreciate now that I’m older with a creakier and slower body, forgetfulness, etc, but as an artist I challenge myself to create in new ways. I AM content in my life, but I also love being creative, stretching my boundaries in that creativity, learning new things, enriching my mind, etc. For me, the act of creating is incredibly satisfying. “How long have you been using this system?” I said. Ever since Columbine, she said. Every single Friday afternoon since Columbine. Good Lord. This brilliant woman watched Columbine knowing that ALL VIOLENCE BEGINS WITH DISCONNECTION. All outward violence begins as inner loneliness. She watched that tragedy KNOWING that children who aren’t being noticed will eventually resort to being noticed by any means necessary…She is saving lives. Lastly, the speaker said; the biggest disability humans suffer is; Loneliness. I have always thought him correct though I had only my own plight as basis for my belief. There are so many ways to combat this feeling. I don’t find loneliness a trap, but a bit of a warning; to call a friend, get busy cleaning the house, make some art, take a walk. If it feels heavier then I spend time with a friend. Get a hug. Indulge in tears if so moved. Laugh. Share stories. And then the lonely cloud dissipates to leave me/my world sunny again. I feel lucky in that my glass is half-full, so my world view IS sunny. Thanks for reading my stories. Can’t wait to read yours! This is the way we touch each other. Three of my cards shown here. 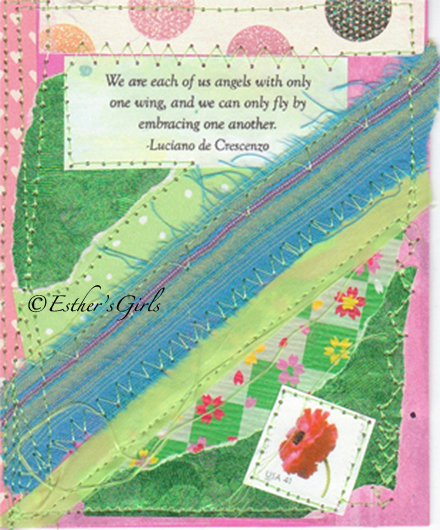 The saying on the first; We are each of us angels with only one wing, and we can only fly by embracing one another. By Luciano deCrescenzo. Please don’t copy my art. Now, one last thing. While composing this, an old advertising phrase came to mind. Here it is, enjoy. 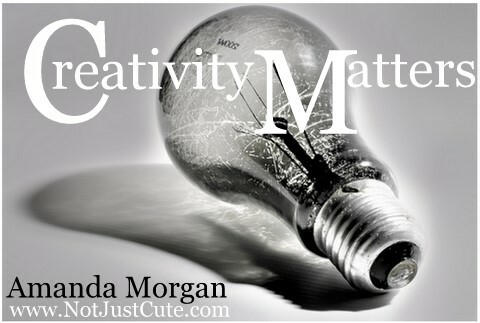 Parents share ideas; give kids gift of creativity and imagination. An article about pink toys and blue toys. Here’s my response: “When my children were young-ish [4 of them within a 7 year spread] they played in the playroom, which was half the living room. There were books and building toys. There was also a child sized table and chairs and a basket of tiny tea cups, small boxes from food, silverware, etc. I made play dough [flour, salt, etc.] on the stove for them, and they kneaded it and added the colors they chose. They also played outside a LOT. One summer after mowing the yard around the house, I mowed a path through the meadow out back in a wiggly route toward their favorite climbing tree. It was like a path through a jungle. I imagined how wonderful it would be to a child with the grass waving in the breeze, almost at their head height. What I loved about this particular article were the comments. (I actually didn’t like the written article.) Some of the ways parents are encouraging creativity and imagination in their children: sandboxes, skating, bicycle riding, using real tools, puzzles, crochet, in one case a Raggedy Andy doll… Then there was this: some dirt and water with an old spoon… And one parent wrote: the old toys in our house “lost” their boxes ages ago and are in non-gender specific containers. Go and watch the video, the one redeeming quality, in my opinion, of the article. Riley looks to be about 3 or 4 years old and obviously has been part of discussions at her house about gender equality. Always nice to have proof that there are other parents out there who are not just talking the talk, but walking the walk too. Way to go! Imagine a world, then start building it. Sharing ideas and your experiences with others is encouraging and can provide food for thought or action. 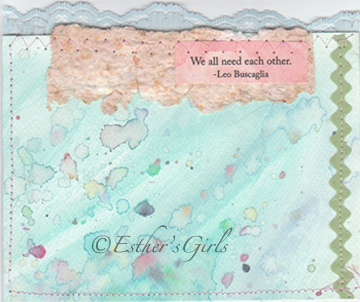 Pink and blue are part of the color palette, and delightful in the collage on the card above. But to define gender? Really? 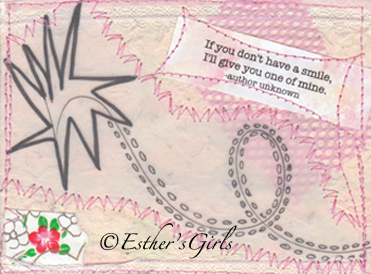 **Card; a handmade creation, do not copy, protected under Creative Commons. 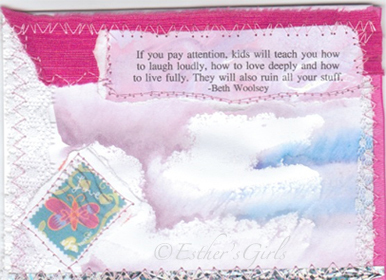 Quote on card; “If you pay attention, kids will teach you how to laugh loudly, how to love deeply and how to live fully. They will also ruin all your stuff.” by Beth Woolsey. Thanks for stopping by and come visit again.